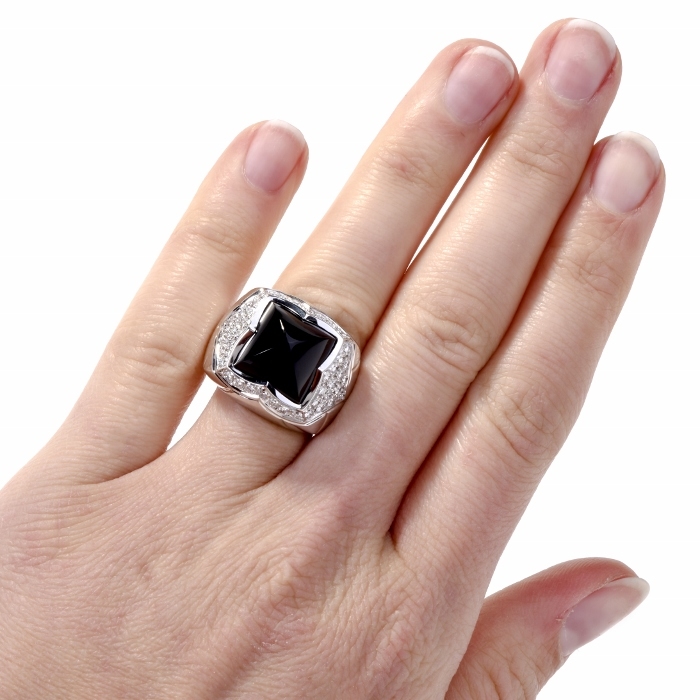 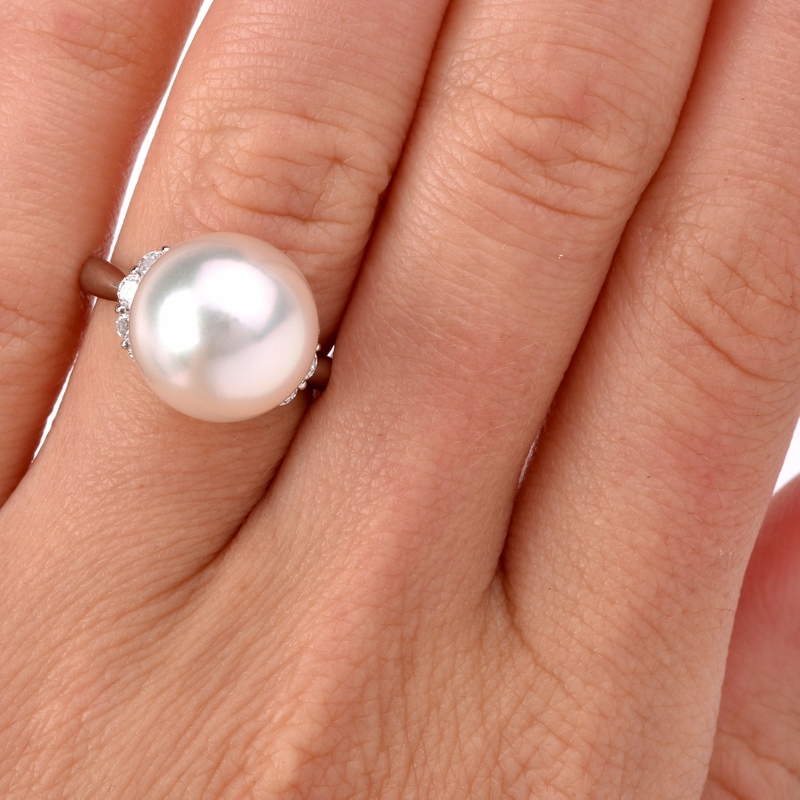 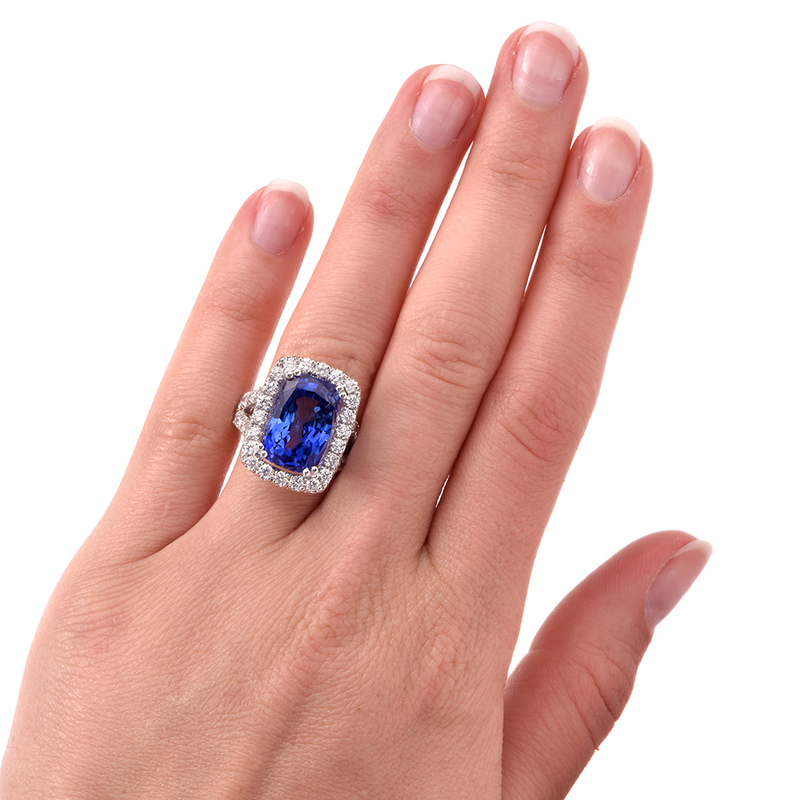 Nothing says luxury like being able to wear a ring that is elegant, sophisticated and unique. 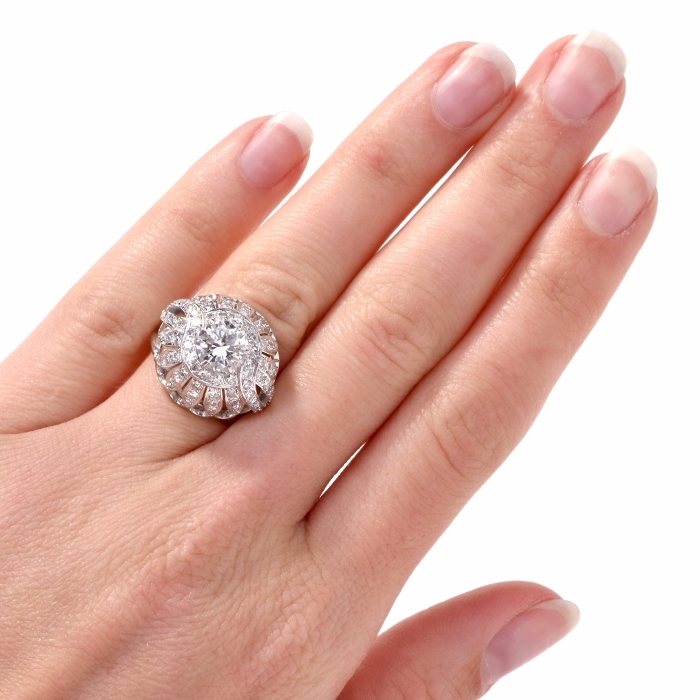 At Dover Jewelry, we offer our clients the ability to own breathtaking and unique vintage and antique rings from some of the most in-demand historic eras. 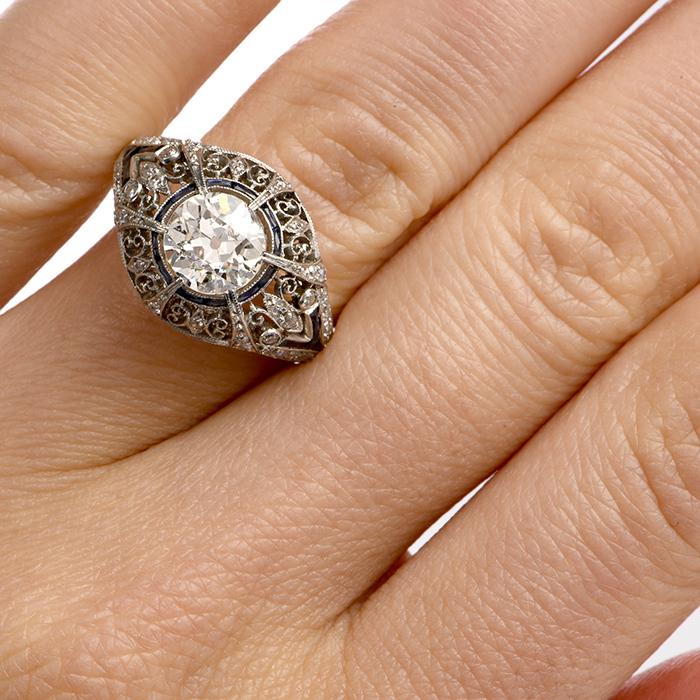 Our global reach and outstanding reputation enables us to boast an ever-changing gallery of available antique and vintage rings. 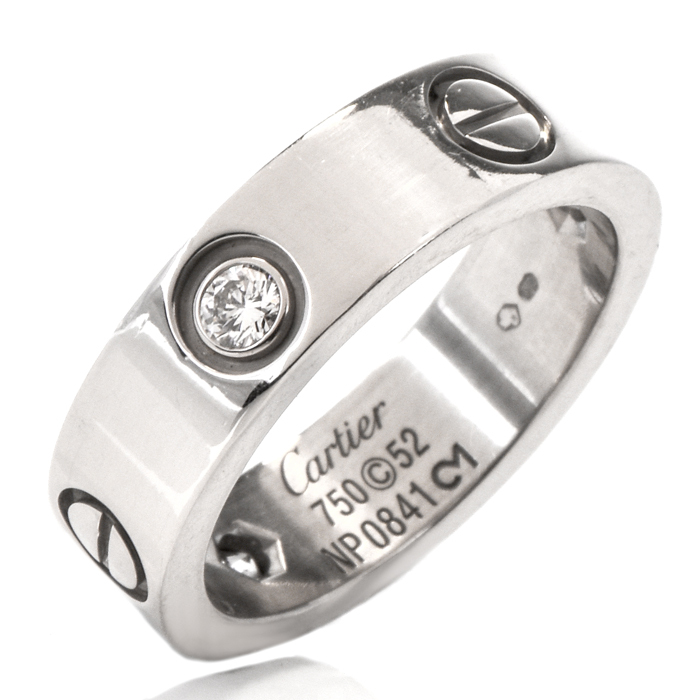 Each ring comes with a certificate guaranteeing its authenticity as a true piece of history. 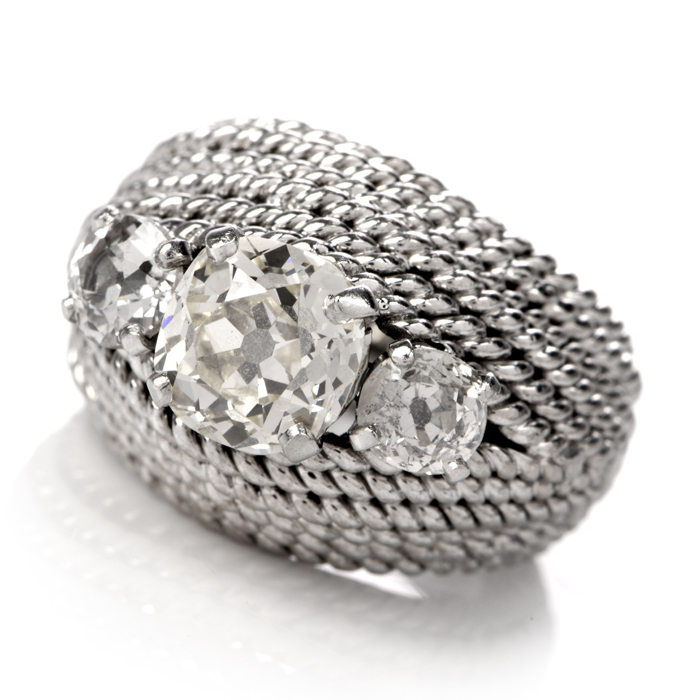 Select an exquisite antique diamond ring or Art Deco ring to add to your exclusive collection of fine and unusual jewelry pieces. 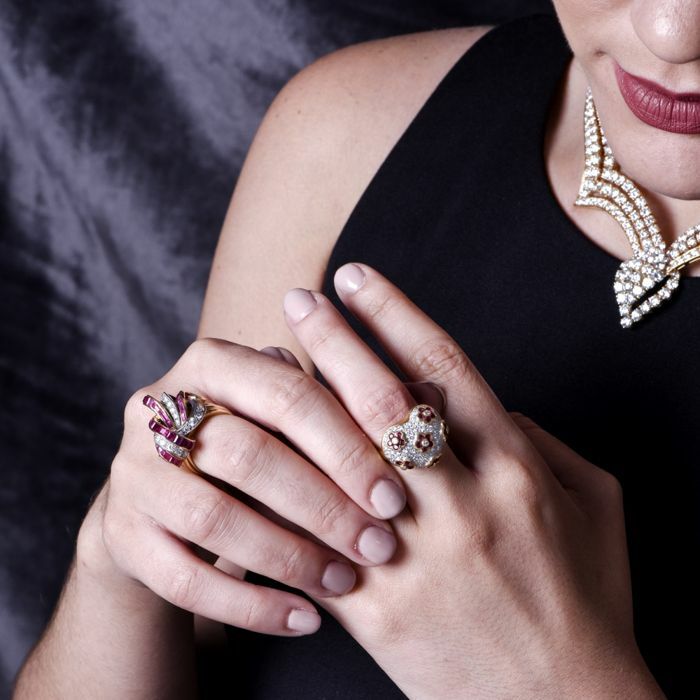 From the moment you put on a ring from yesteryear, you’ll understand why our clients trust us to help them show their personality, style and poise through wearable treasures. 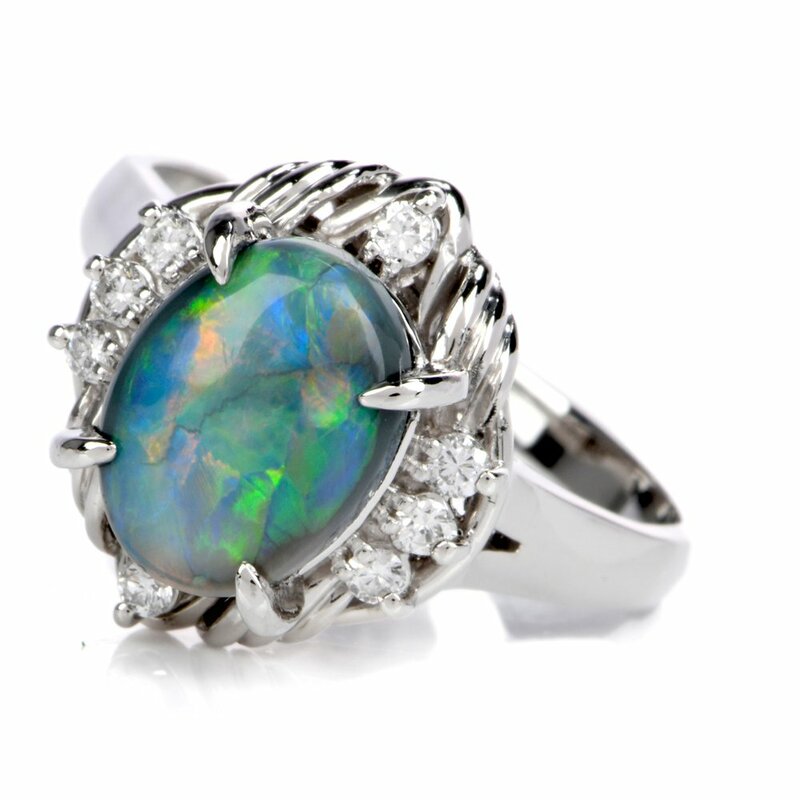 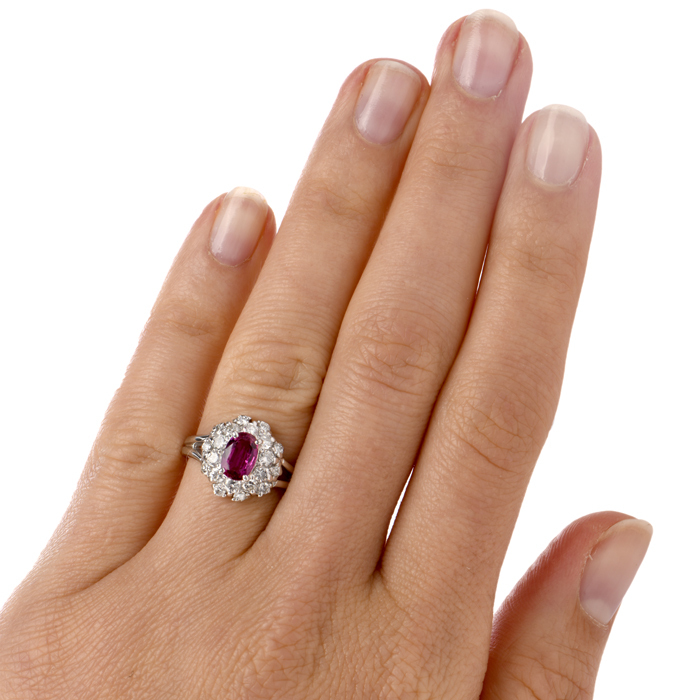 As a buyer of fine vintage and antique rings for sale from Dover Jewelry, you should always examine our diverse selection with your preferred style in mind. 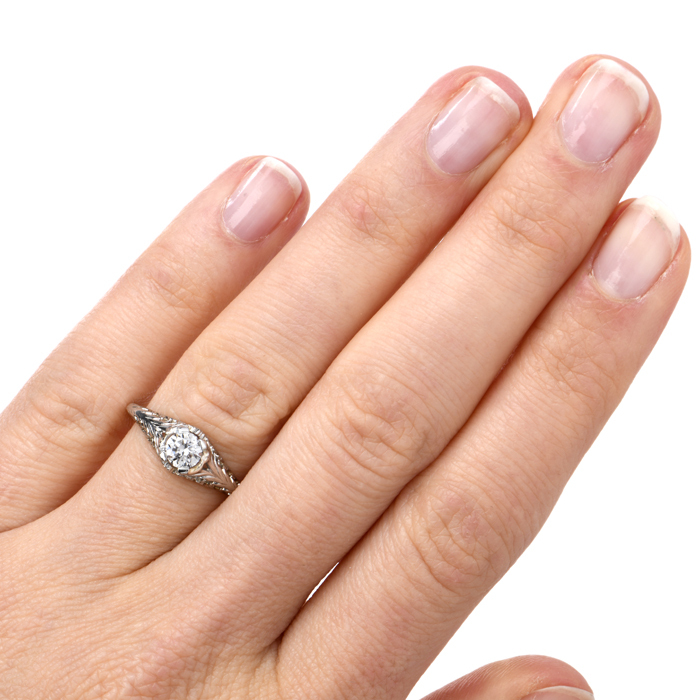 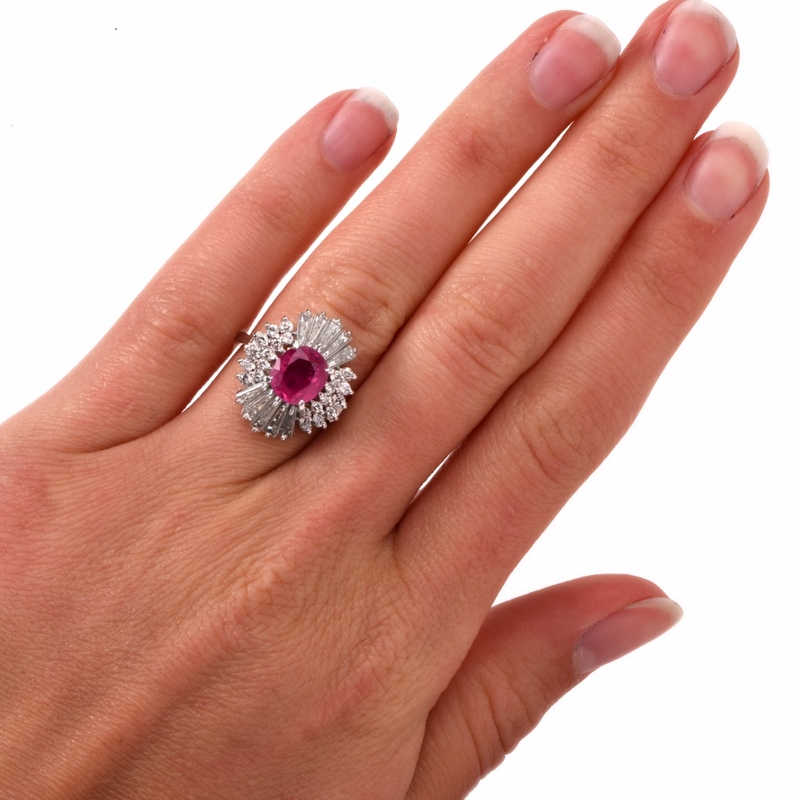 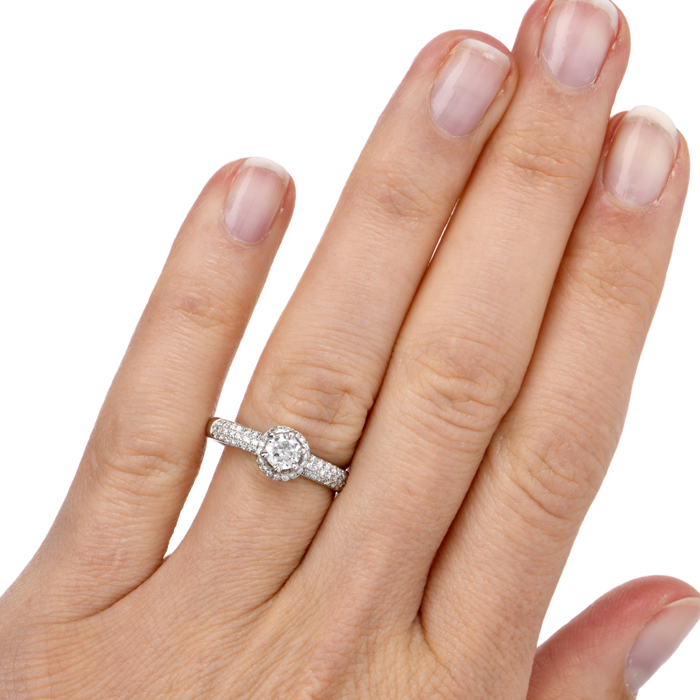 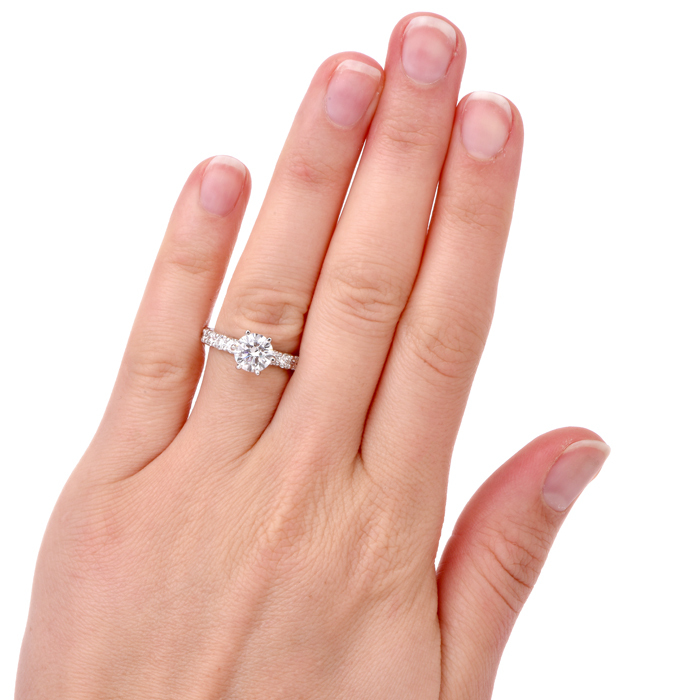 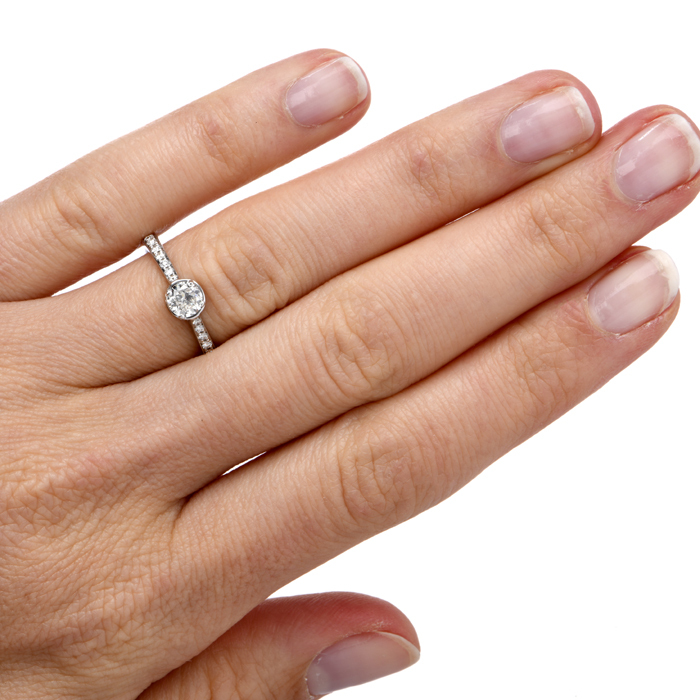 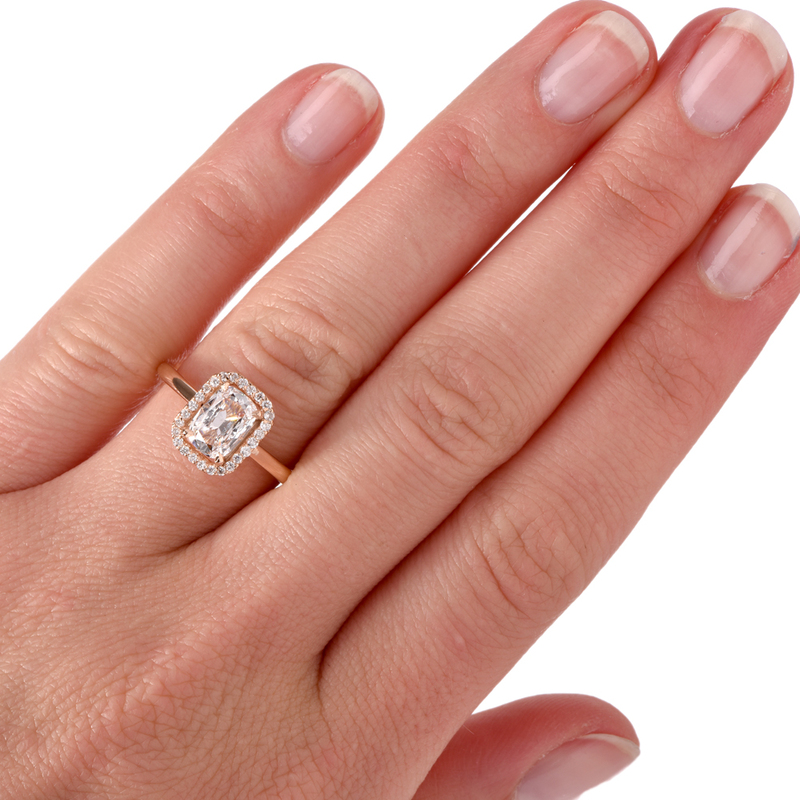 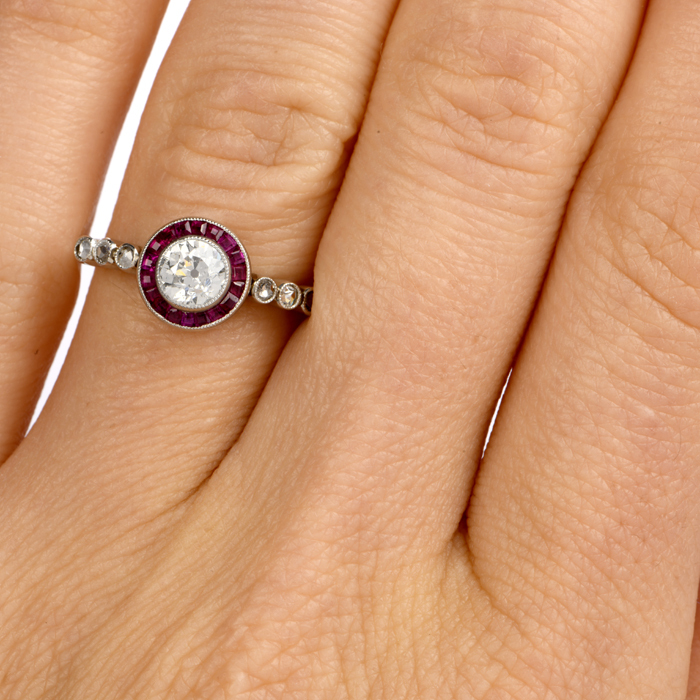 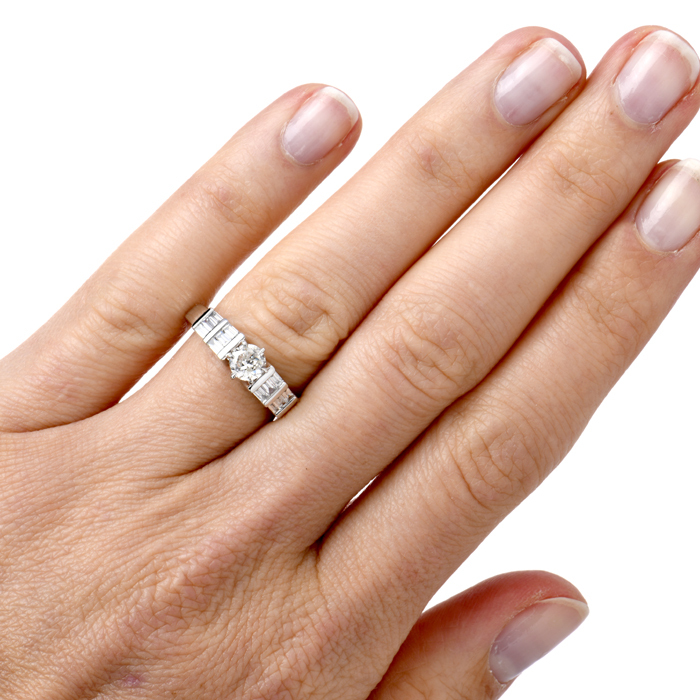 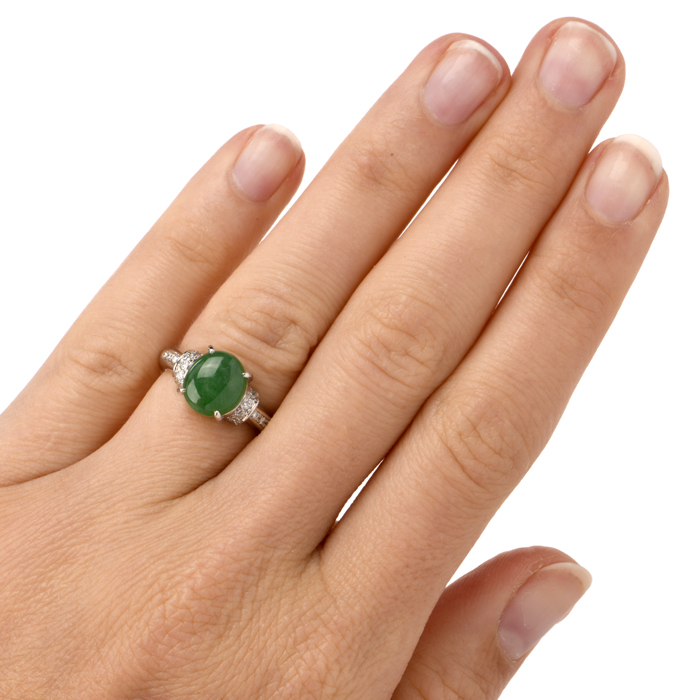 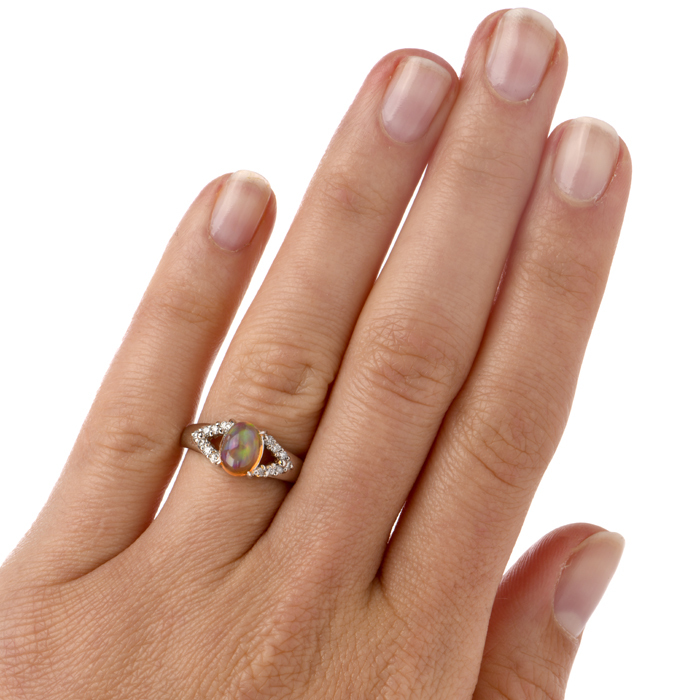 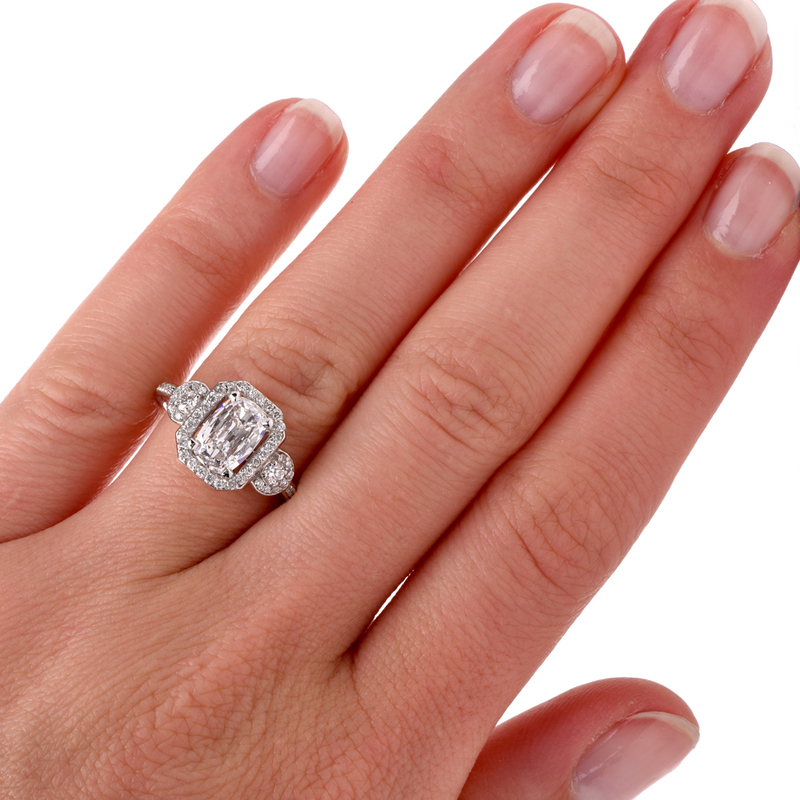 We believe that buying the right antique ring is a very personal decision. 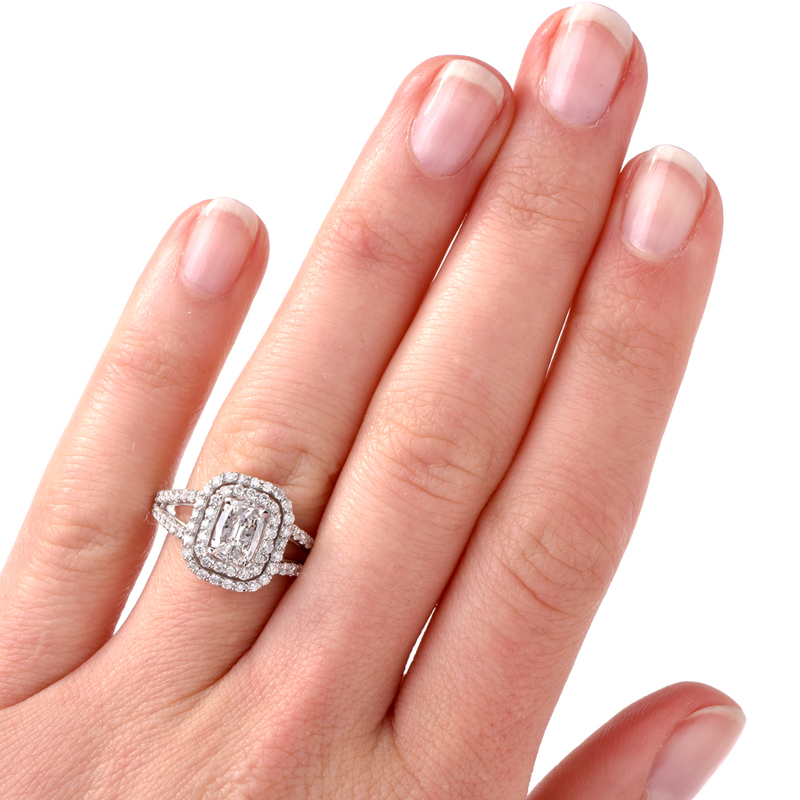 When you see an antique Art Deco diamond ring or an Edwardian vintage ring that captures your attention, you probably are responding to something about it that accentuates your favored taste. 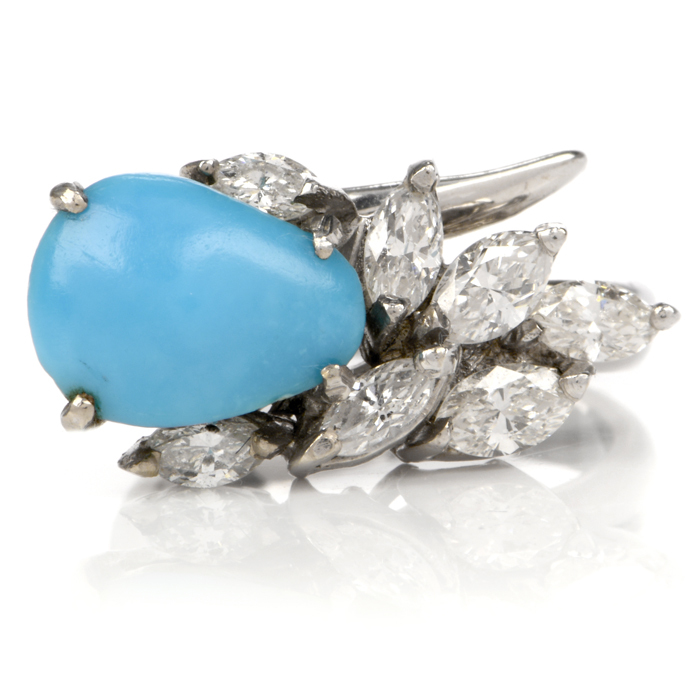 Buying a diamond vintage cocktail ring for a loved one? 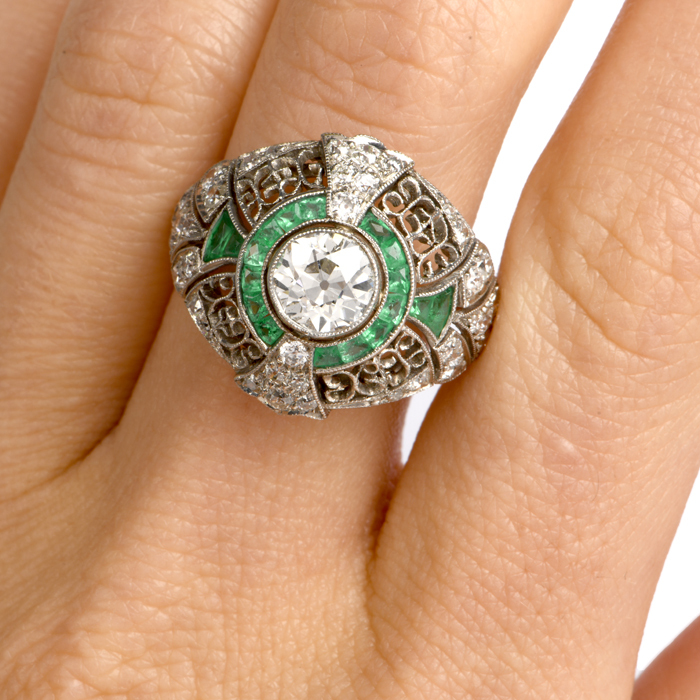 Use their personality as a guide to help you choose the piece they are most likely to proudly wear again and again. 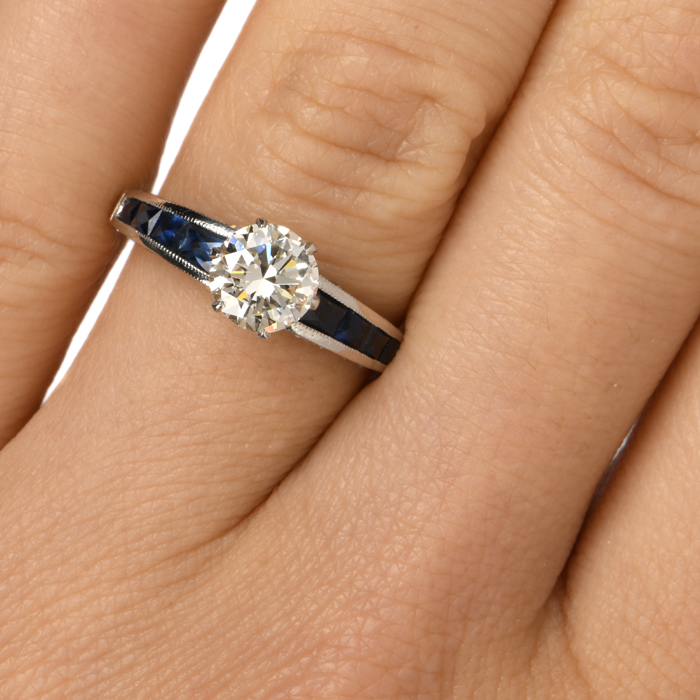 If you have questions, call our professional jewelry experts at 1-877-777-6111 for knowledgeable, prompt and customized service. 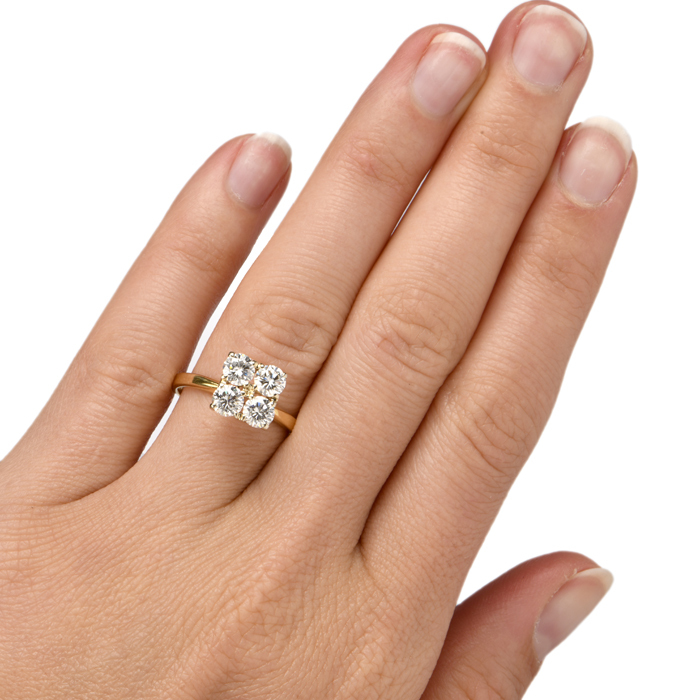 Victorian Period – Antique diamond rings and other types of rings made from 1835 to the turn of the century boast Victorian motifs and styling. 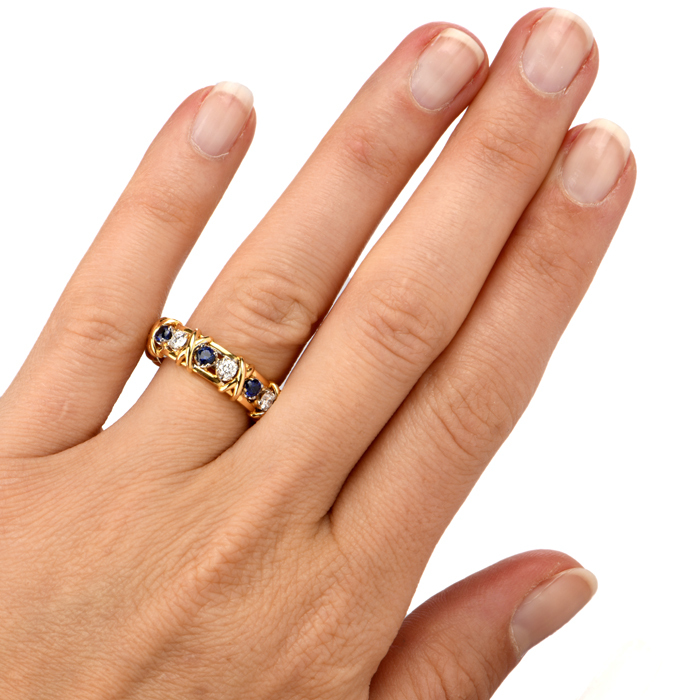 Most Victorian-era rings feature yellow gold and/or rose gold. 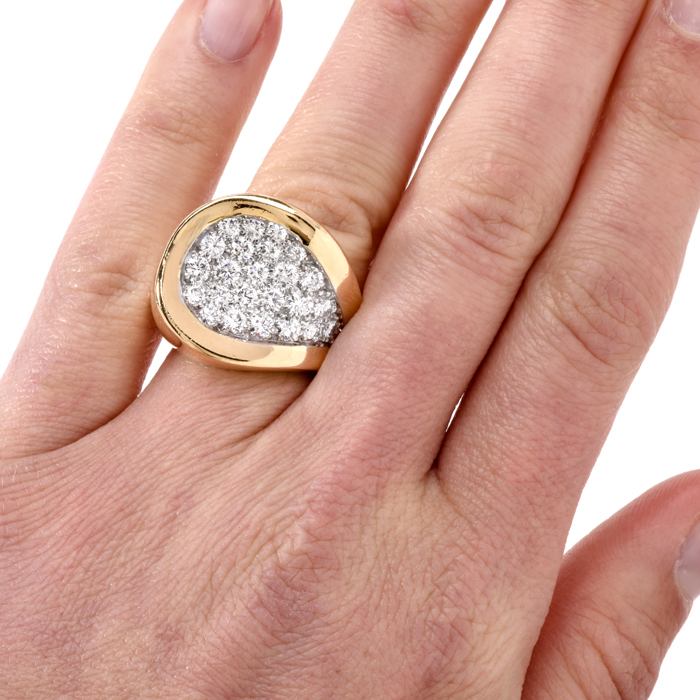 In some cases, the gold has been intricately etched to mimic a reference to the natural world. 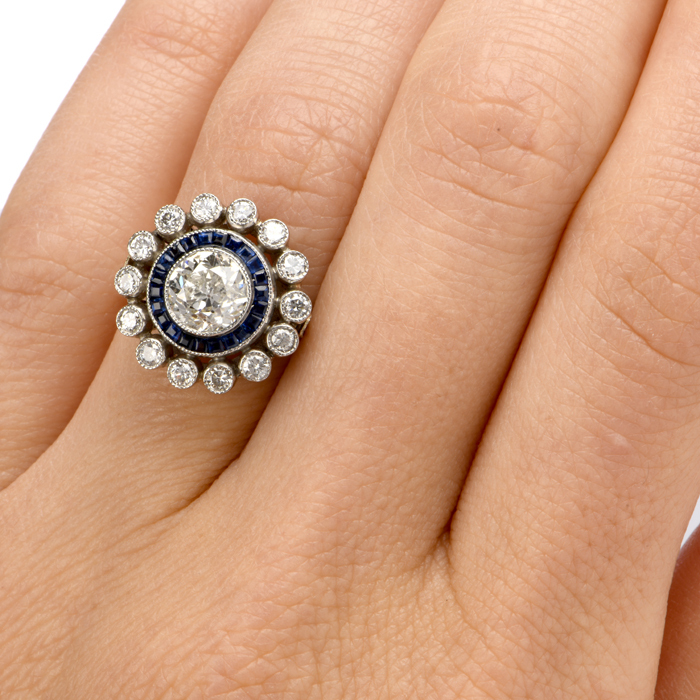 You will find sapphires, pearls and diamonds in heavy use during the Victorian period. 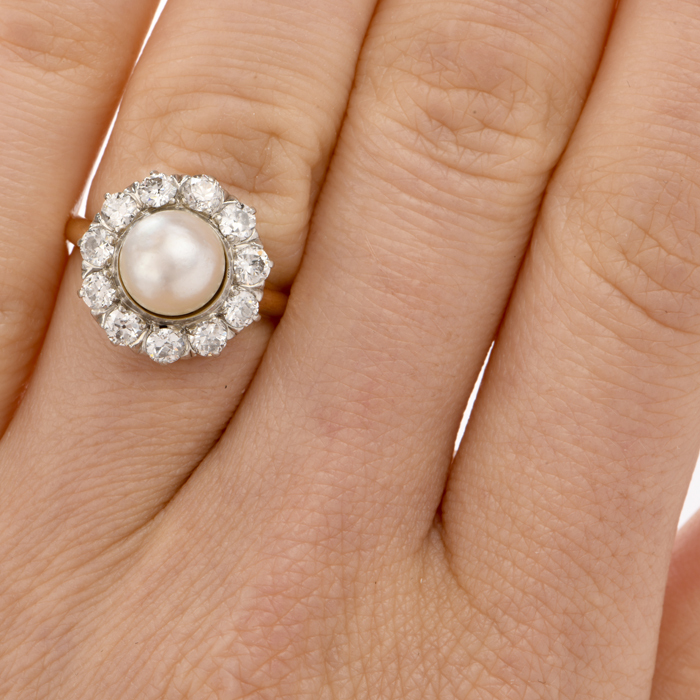 Edwardian Period – Between 1900 and the 1920s, ring designing took a different focus. 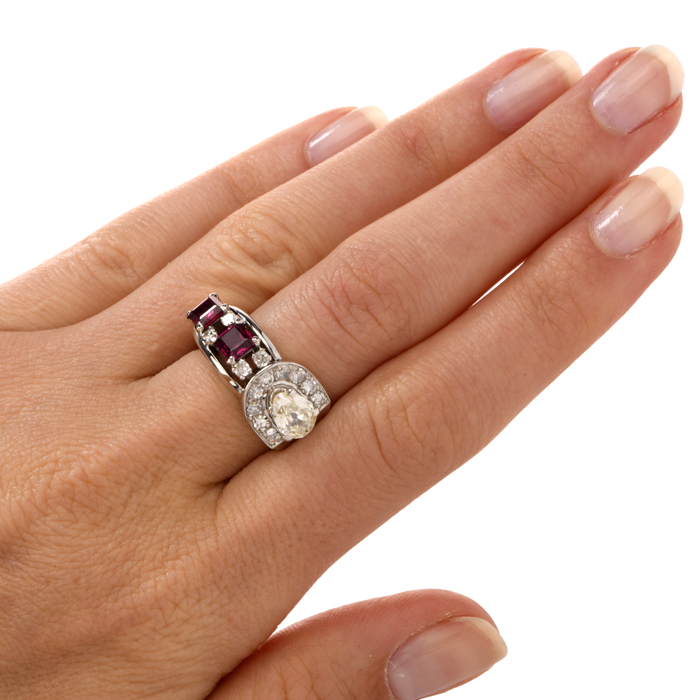 Edwardian Period antique rings incorporate platinum into the setting. 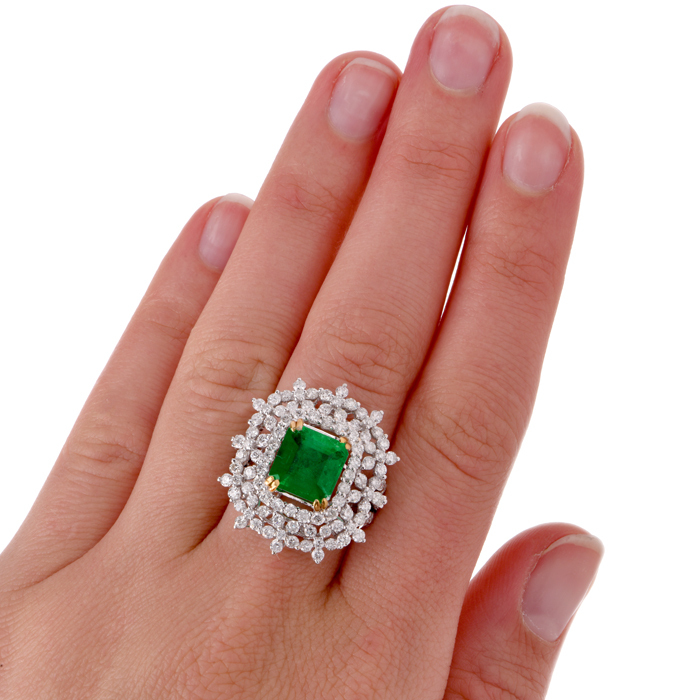 Additionally, Edwardian vintage rings tend to incorporate diamonds, rubies, emeralds and other upscale gemstones, often intricately carved to bring out their innate fire and beauty. 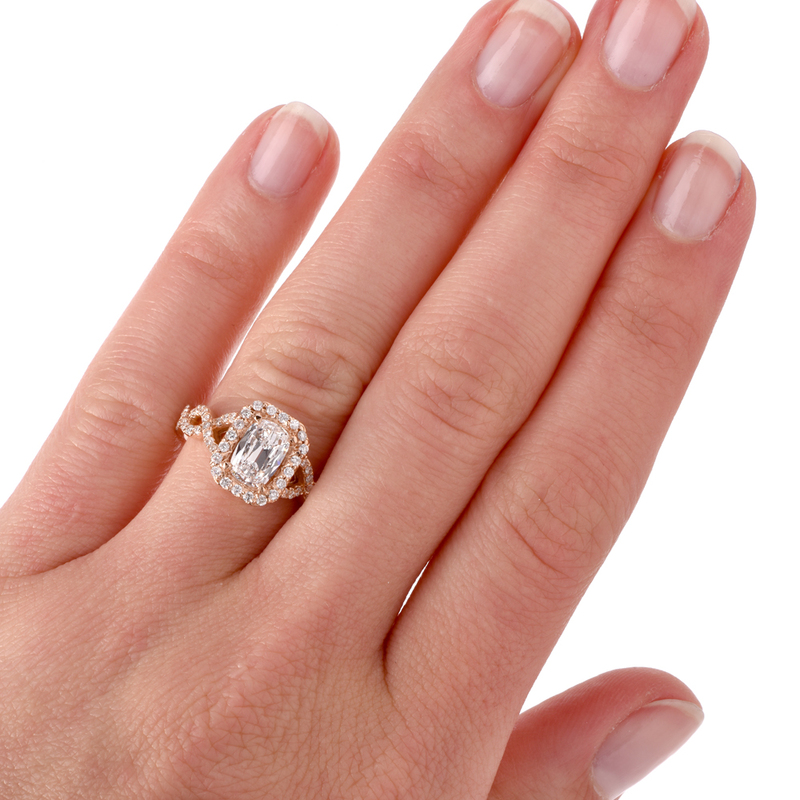 Delicate, feminine curves are hallmarks of Edwardian jewelry, including antique vintage rings. 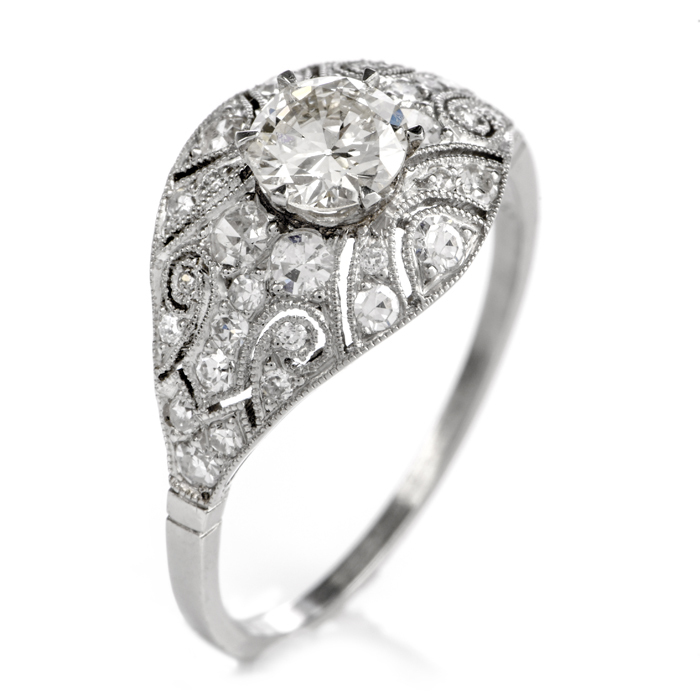 Art Deco Period – This style came to its height from the 1920s to the early 1930s. 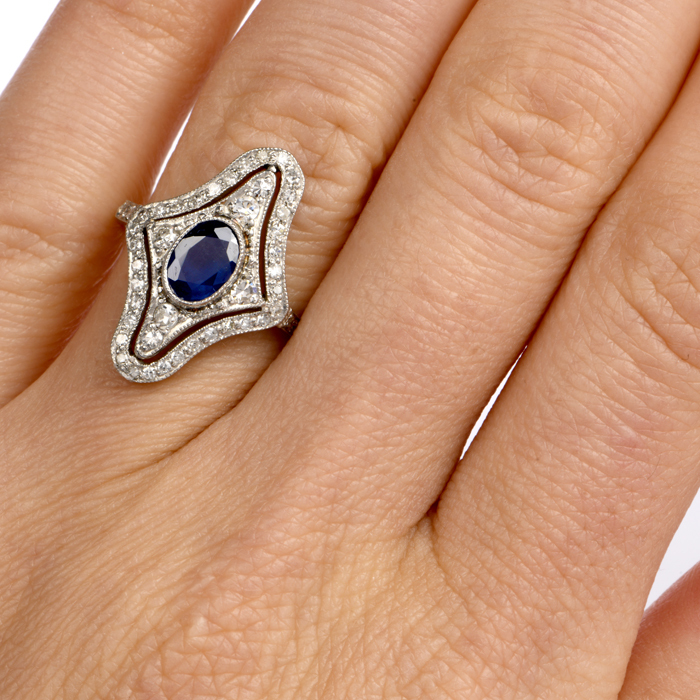 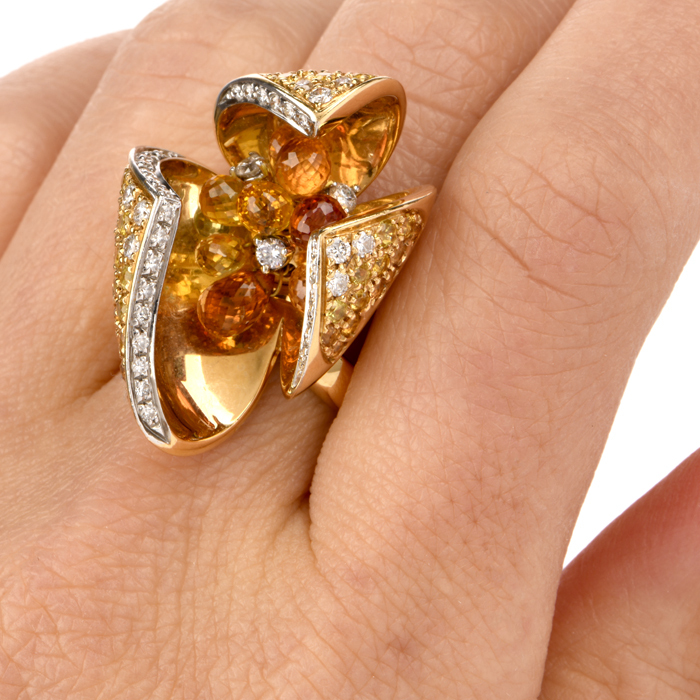 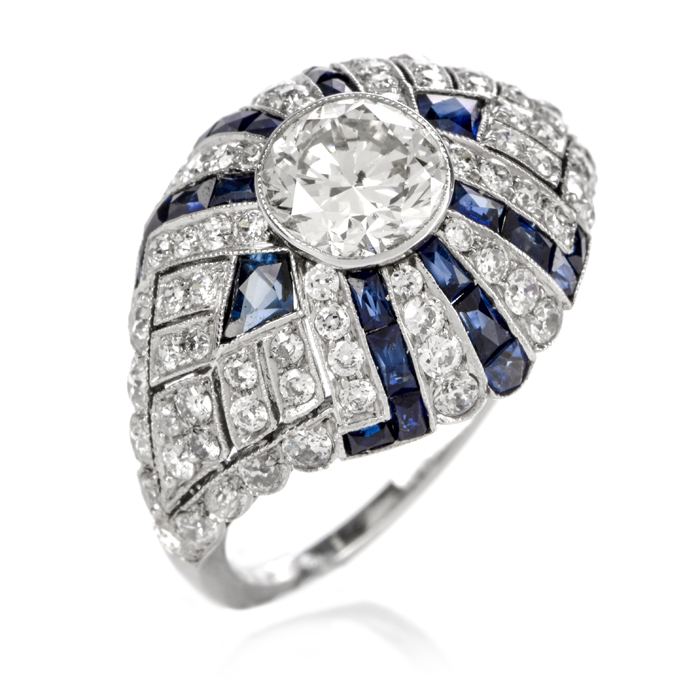 Glamorous, innovative and spirited, Art Deco rings seem to burst with a life of their own. 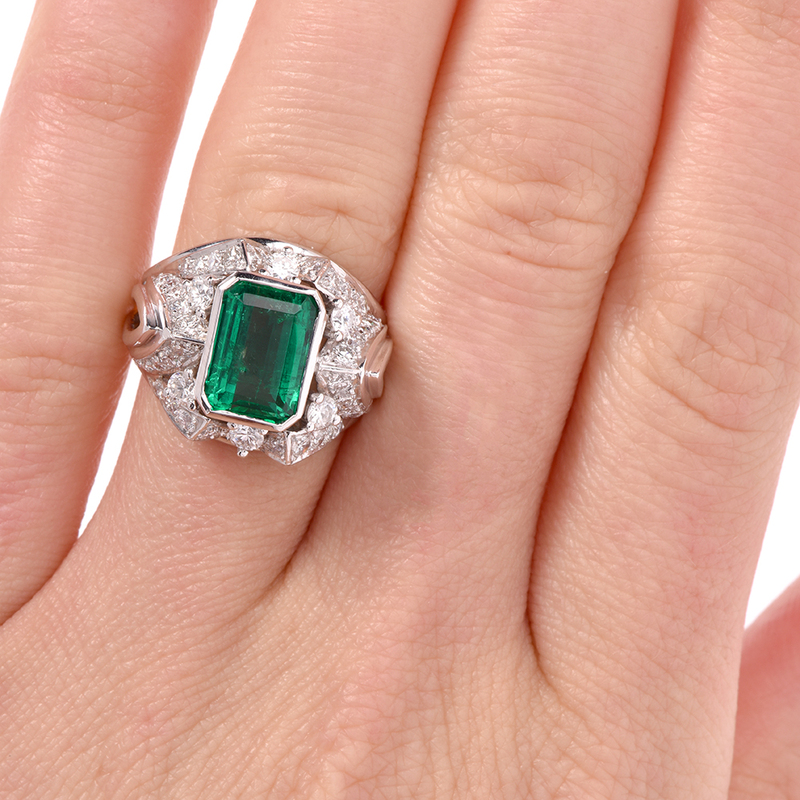 Geometric designs, play between competing high-quality gemstones and abstraction are just some of the calling cards of traditional Art Deco antique rings. 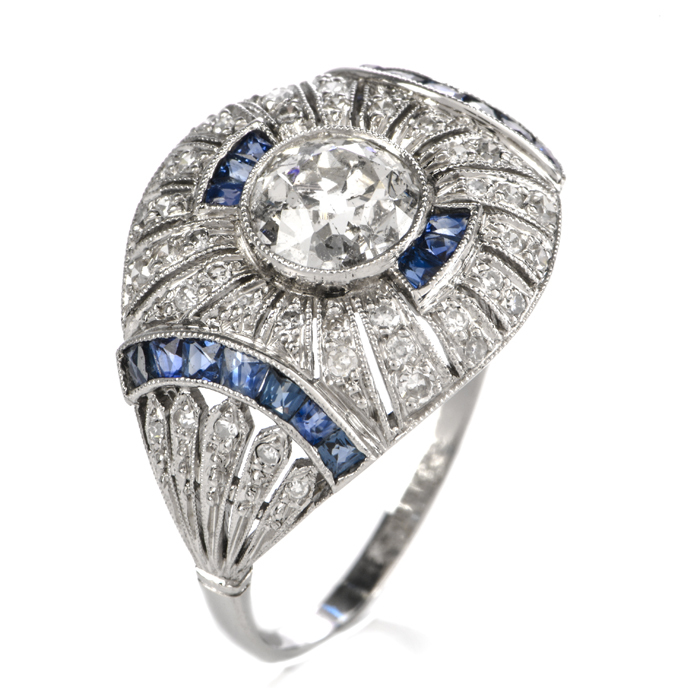 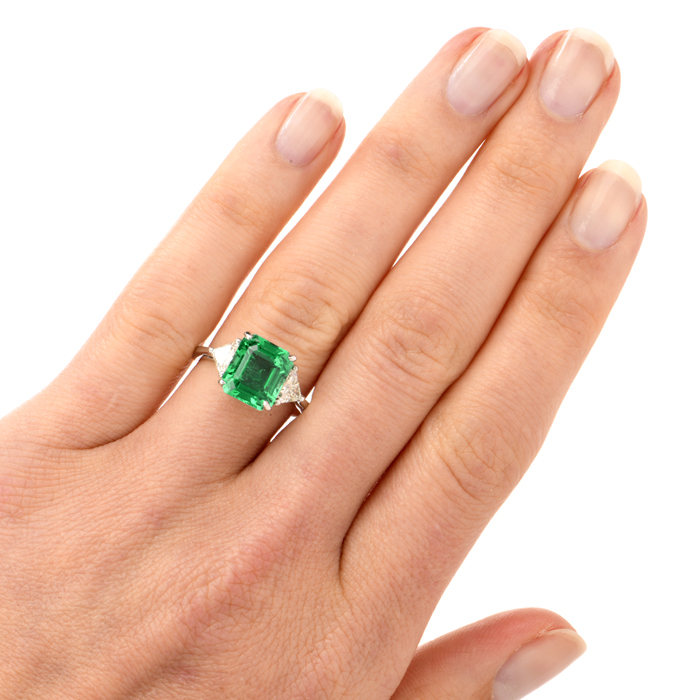 It’s no secret that today, genuine Art Deco diamond rings and antique rings featuring other gemstones are highly sought-after by some of the most notable style leaders. 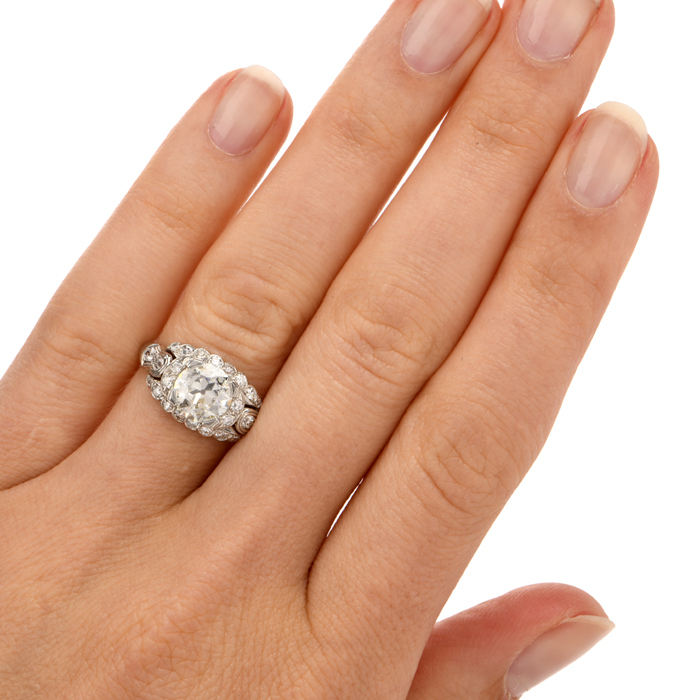 Plus, many couples actively look for Art Deco vintage engagement rings rather than purchasing rings manufactured by contemporary jewelry houses and designers.